FSU ended last season ranked eighth in the AP poll, but they’re one of the top contenders for the college football title next season. Under the right circumstances, this year’s FSU team is a recipe for success. Overall, the Seminoles had a successful 2016 campaign, but there were some bumps in the road, with surprise losses to UNC and Louisville. The ‘Noles bounced back and only suffered one more loss against powerhouse Clemson, and then edged Michigan in the Orange Bowl. Throughout the season FSU had powerful players on both sides of the ball, but the big story is whether they’ll be able to replace RB Dalvin Cook, who just got drafted by the Minnesota Vikings. It looks like the Noles have an answer to the Dalvin Cook question in freshman running back Cam Akers, who was ranked the No. 1 RB in his class by 247 Sports. To supplement Akers, FSU is also bringing in the No. 4 ranked running back Khalan Laborn and the No. 15 ranked RB Zaquandre White. Laborn is a five-star recruit out of Virginia, and is ranked No. 1 among all-purpose backs. With this stacked RB recruiting class, it seems the Seminoles have solved the problem of Cook’s departure for the long term. If Akers, Laborn, and White perform as well as they’re ranked, FSU won’t lose any sleep over running concerns. Any doubt that people had about Deondre Francois’s passing game is all but gone. In his first season as FSU’s quarterback, he threw 235 completions for 3,350 yards and 20 touchdowns. One thing that Francois did struggle with was protection – he was sacked 37 times last season, and if changes aren’t made to the O-line the ‘Noles have a problem. The main culprit for all these sacks is the rest of the offense. Francois was also tackled for a loss 86 times and was hurried 28 times, terrible numbers for a top-10 team. The bottom line is, if Francois doesn’t receive better protection, he’s going to continue to get sacked, which will impair FSU’s ability to reach the title game. All-American offensive tackle, Roderick Johnson, recently left for the draft, leaving yet another hole in the Seminole O-Line. For a line already plagued by injury, losing a player like Johnson is a recipe for mediocrity. If FSU is going to have a strong offensive line, their young players are going to have to step up. Josh Ball, a 6’8″ 287 pound offensive tackle out of Virginia, might help the Noles answer some questions. He redshirted last season and comes into this season as a freshman. Redshirt freshman Jauan Williams, a four-star offensive tackle, and Baveon Johnson, a four-star center, also hope to supplement the struggling line. Sense a trend here? It looks like FSU had a lot of talent in reserve last season. If this group of promising players pans out, FSU looks good for the post-season. Ranked as the sixth-best recruiting class in the nation, the Noles have an impressive group of young talent coming in on both sides of the ball. Besides the obvious with Akers at running back, the Seminoles have some quality offensive players for the upcoming season. FSU’s receiving corps added eighth-ranked wide receiver D.J. Matthews. He’s joined by wide receiver Tamorrion Terry, and tight ends Tre’ McKitty and Alexander Marshall. It seems like FSU put more focus on the defense this year, though. Defensive end Joshua Kaindoh, a five-star recruit out of Florida, is the third-ranked WDE in the country and ranked ninth in the nation overall. He’s joined by four-star cornerback Stanford Samuels and four-star safeties Cyrus Fagan and Hamsah Nasirildeen. 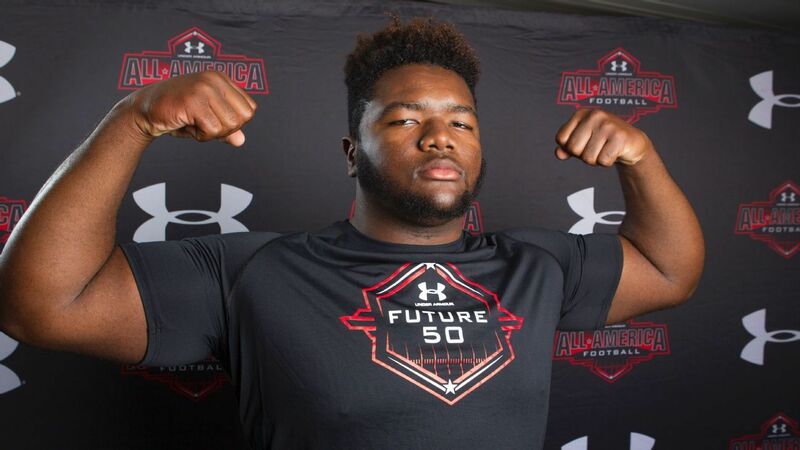 The Seminoles also recruited five-star defensive tackle Marvin Wilson, who is the No. 1 ranked defensive tackle in the nation. Add four-star defensive tackle Ja’len Parks, and FSU looks strong on defense for the upcoming season. FSU has played well consistently since 2012, and last season was no exception. This year they come back with a more mature quarterback and a stellar ground game, as well as a defense that’ll be tough to beat. The most important thing for the Seminoles to focus on right now is their opening game against Alabama. It could prove to be their toughest game of the year, and the Crimson Tide won’t hold back. It will be interesting to see the Hurts-Francois matchup, since so many people have compared them this offseason. FSU will also be going up against one of the best offenses and defenses in the nation. Even with an opening day loss, the ‘Noles won’t completely lose their spot. It would be an important win for Francois’s confidence and their ranking, though. The new receivers will have to learn how to work with Francois as he develops, and his offensive line will need to make sure he has time to get rid of the ball. If those two things happen, the Seminoles will be a hard team to beat, and will most likely make the title game.